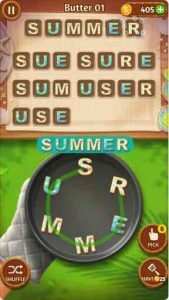 The best word searching puzzle game Word Cookies is here! Simply swipe along the letter shaped cookies to form a word (or more). If you manage to spot a valid word it will remain highlighted on the word list as found. Some words are left hidden so don’t hesitate swiping everywhere! You can play offline in anytime. New updates are always on the way! Word Cookies contain ads like banner, interstitial and video ads. Word Cookies is free to play, but you can purchase In-app items like AD FREE and in-game currency to buy hints alike.